We understand the needs for industrial manufacturers to operate more efficiently, with improved safety. Dealing with one partner for all of your manufacturing and facility need is one way to accomplish this objective. 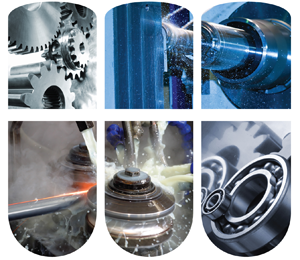 From raw stock coming into your plant, to finished goods going out, Rochester Midland offers comprehensive solutions for metalworking fluids, parts washing, wastewater, boiler and cooling water treatment, and general maintenance cleaning. Our joint process improvement programs are designed to help you increase efficiencies in production while saving energy and water. By partnering with Rochester Midland we can provide sustainable solutions to meet your business needs.